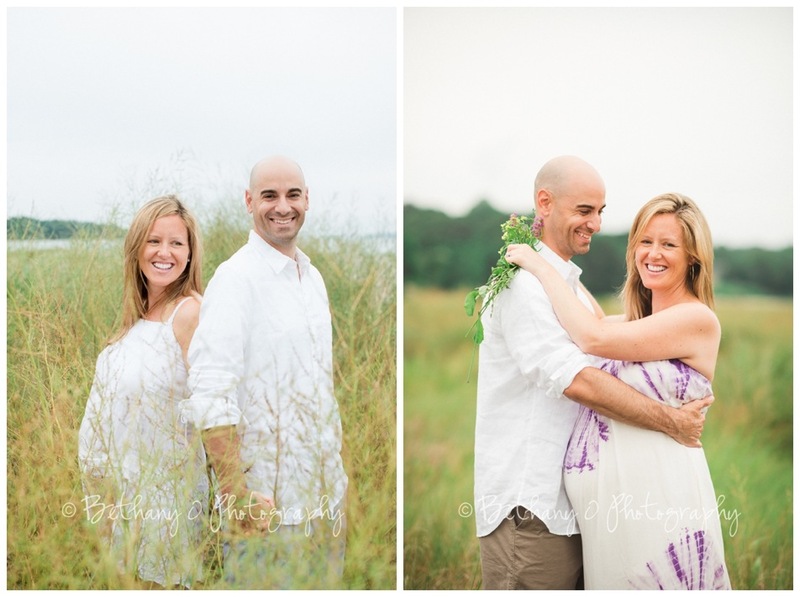 These parents-to-be came all the way from Southern Connecticut for their session. I knew I would like them when they pulled up to the beach in Portsmouth, RI, honking their horn enthusiastically. This candid moment turned out to be one of their (and my) favs. …And taking this last picture was when the idea for an in-the-water session was born. I also put the following two templates together as options for them to use for baby shower thank-you cards. One of the other arguments against mini-sessions is that you simply can't give every client the sunset slot. Sunset light is so very yummy. I met Meghan through my friend Bonnie and I think Meghan and I might be soul-sisters. I feel like I have known her forever. And by "forever" I mean "since before I was born." What a beautiful soul she is. 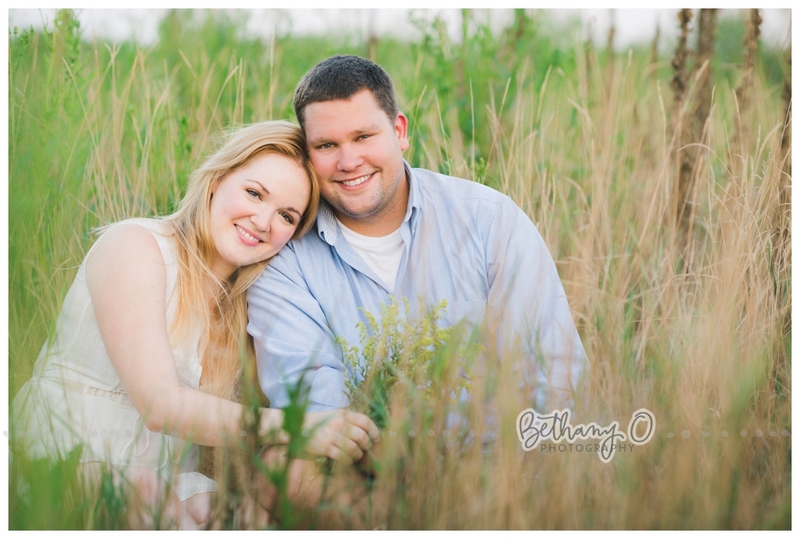 To see more photos from other sessions on this mini-session day, see my previous post! I said I would start posting recent photo sessions to my web page. I'm going to do that with photos from Aug 2013 forward, but there are some photos from the previous year that I couldn't bear to scrap. Last fall, my friend Kaila Wilcox needed headshots for her website; she is a therapist in Boston. In executing this shoot, it was important to me to show how approachable Kaila is. 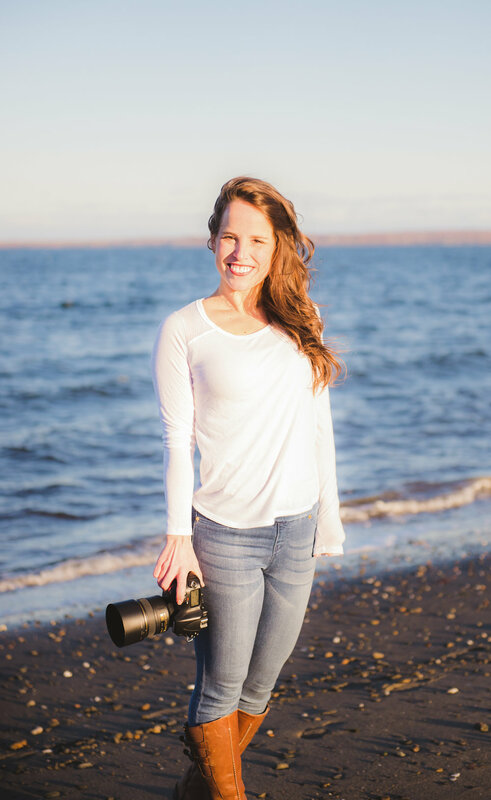 When someone visits her website, I want them to know that she is a kind and vibrant soul who is incredibly easy to speak with. The photos, in my opinion, needed to be professional without being stiff; relaxed without being unprofessional. A client of Kaila's recently told her that, in choosing between two psychologists for his child, he chose Kaila because of her photo. My cousin James needed senior photos last year, and his high school's requirements were specific. Gray background. Black and white. Chest and shoulders only. BAM. 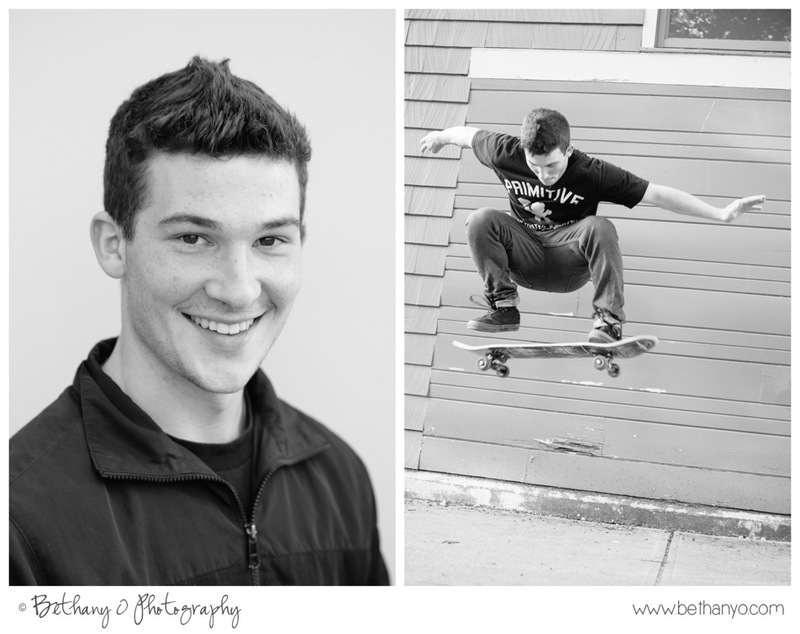 We got that shot, then had fun capturing James' love of skateboarding. For what it's worth, my aunt told me the shot on the left is her favorite photo she's ever seen of James. Because that's his real smile. Last year, another of my aunts wanted to surprise my uncle with photos of their sons for Christmas. The headshots above touch my heart. These are their real smiles. These are my cousins. That session marked my first canvas order. The individual head shots look INCREDIBLE as square 16x16 canvases, and the 24x36 canvas of the three boys is a jaw-dropping focal point in their living room. I felt like a part of their family by the end of the day. What fun we had! The photo on the bottom right is now a 24x36 canvas hanging in their parents' house. I received a handwritten letter (*happy sigh*) from their mother this summer, telling me how much she loves looking at that photo when she steps out of her bedroom every day. 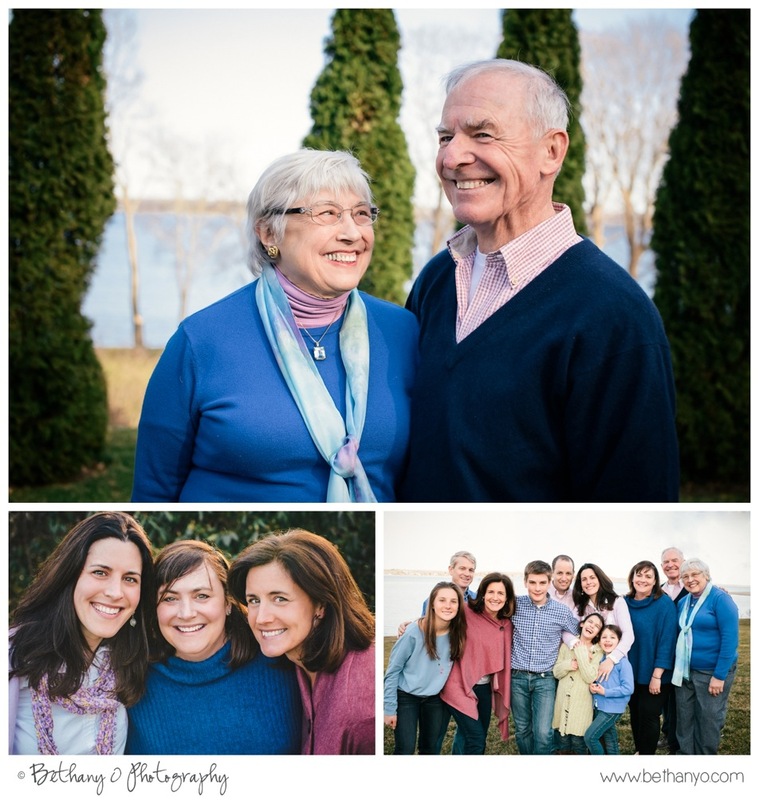 Finally, a family session this spring. Bonnie is one of the first Momma-friends I made when I became a mother. We had been talking about doing photos together for a while. I'm so glad it worked out this spring! The photo below of Bon with her three kids is one of my favorites ever. So real, so true! She is one inspiring Momma: let me tell you what. Sweet sauce! Those are some of the photos I just couldn't bear to keep off the blog. 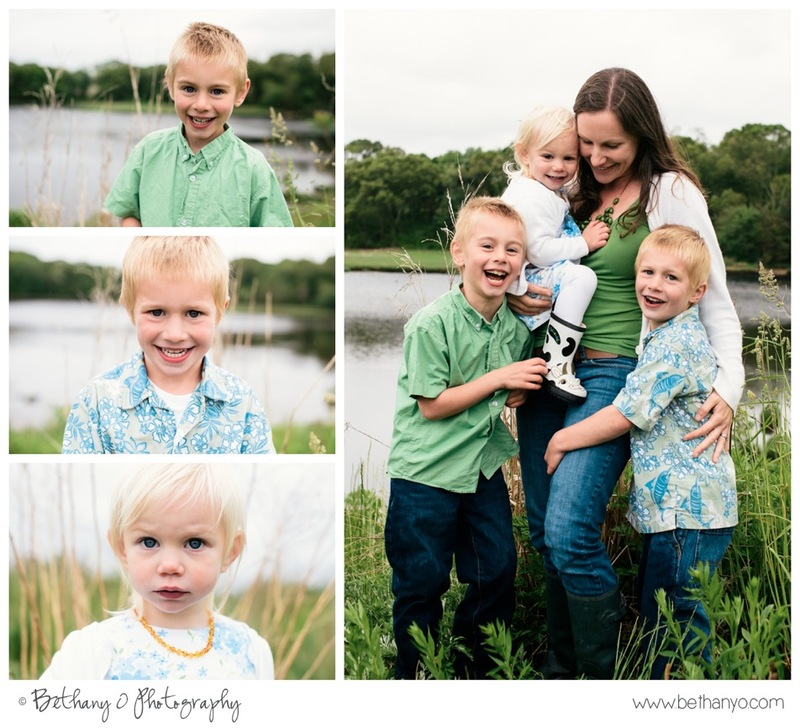 Up next: some mini-sessions from June!